This fall, Alice Cooper, together with Joe Perry and Johnny Depp will release a tribute album "Hollywood Vampires". The upcoming record also featured Paul McCartney, Dave Grohl, Joe Walsh, Brian Johnson, the late actor Christopher Lee and The Doors' guitarist Robby Krieger. "To join the club, one simply had to out drink all of the members. I would walk in on a typical night," Alice says, "and John Lennon, Harry Nilsson, Keith Moon — who would usually be in a costume like a maid or a chauffeur — Bernie Taupin, Jim Morrison and Mickey Dolenz would be there. The next week might be Bernie Taupin, Jimi Hendrix, Jim Morrison and Mickey Dolenz." Three years ago, Alice Cooper and Johnny Depp, who were later joined by Aerosmith's Joe Perry, decided to breathe life into the Hollywood Vampires, but without the traditional heavy drinking. 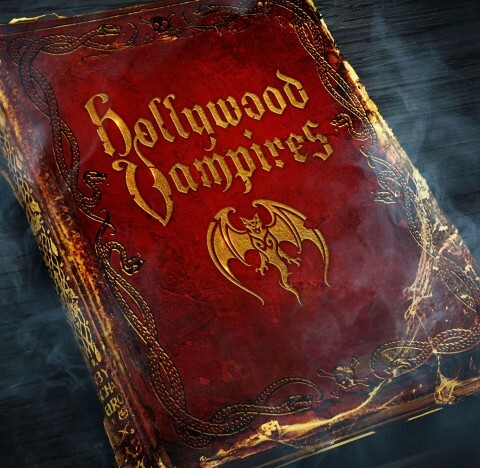 With the participation of well-known rockers, the band recorded a tribute album dedicated to the original "vampires". The record release will take place on September 11.